Has anyone attempted to install Mycroft on an Amazon Echo or Google device? Obviously it it void the warranty but who cares! The mic/speaker and form factor are great. Seems like something fun to do with one of these things grandma gave you for Christmas. The echo dot/home mini had 256mb of RAM, which is rather low to run mycroft on. For budget applications a pi 3 and the google aiy voice kit v1 would be a reasonable approach, though not nearly as pretty or compact. 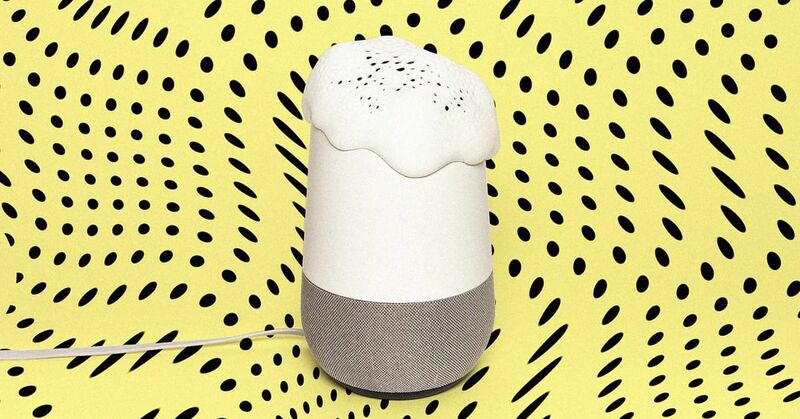 The google mini has a similar two-mic system in it as well. 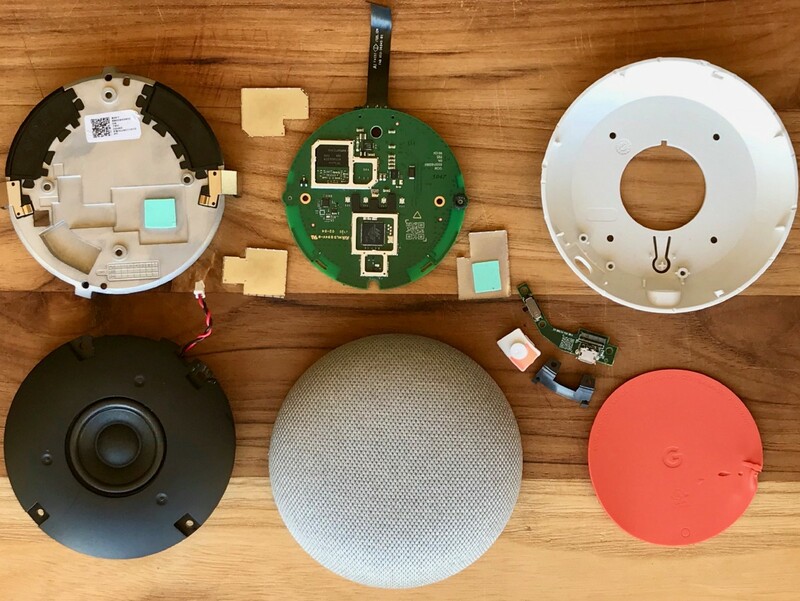 We tore down the Amazon Echo Dot on April 20, 2016. Not exactly what I was was going for… but pretty creative. Google, you can’t hear me now. Apart from the warranty getting void, are there any other specs? i wanna try this too. Marvell 88DE3006-BTK2 — (unchanged) This is the multimedia processor SoC, an ARMADA 1500 Mini Plus with a Dual-Core ARM Cortex A7, supporting 1080p HD content. Marvell Avastar 88W8887 WLAN/BT/NFC SoC — (changed from the 88W8897 used in the Google Home) The main difference with this SoC is that instead of a 2x2 wifi radio (meaning it can send and receive on two antennas simultaneously and do wifi beamforming), it only has a “1x1”. This is most likely a cost reduction, also requiring less thermal dissipation and hence a smaller, cheaper design, for a product that may not need the extra bandwidth and antenna strength. Picroft is still an easier and safer way to go! No 4GB’s of RAM sorry folks.